Our Little Science classes help lay the foundation for your child’s future academic progress. These preschool science classes, catering for ages 3-7, are designed to assist in these critical stages for a child’s cognitive development – helping them to process information, solve problems and make decisions. 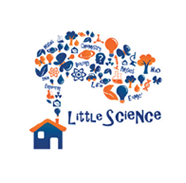 Little Science is our weekly project based science workshops for kids where they can learn about Life, Earth, Physical and Engineering topics! Come and learn about Space, The Heart- our pumping machine, Gravity, Motion, the Importance of Bees and Birds, Machines and how they are built, as well as Great Scientists such as Galileo, Leonardo da Vinci and Isaac Newton! 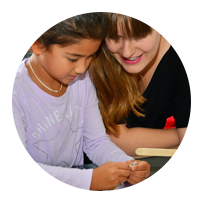 All of our sessions include interactive talks and experiments for kids, a take home project and parental notes. All of these are conducted in small group sizes, in order to maximize the attention that each of our students receive from the teacher. A place for children to learn, experiment, explore & play! For children aged 3 to 8 years - All of our sessions are designed in an age-specific manner, and caters to specific stages of their development. Age 3-4 group – Instead of complex experiments or take home items, we introduce preschool science to these young learners via drawings and colouring. At this age children recognize and identify pictures and common objects, and can also name colours that are familiar to them. 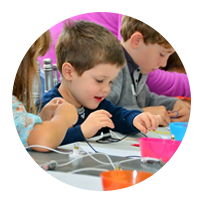 Age 4-7 group – We use simple vocabulary and engage our young students with a variety of hands-on experiments for kids, with some items slightly prepared for them to complete the experiments easily but still with a sense of accomplishment. 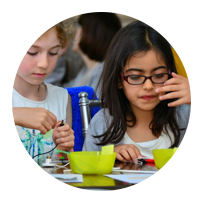 Age 5-8 group – For this group we offer more complex experiments, vocabulary and theory in order to hone into their existing knowledge that they might have covered in school. We look more closely at the school curriculum for this age group to ensure that their learning experiences supplement each other. Life cycle . . . and many more!